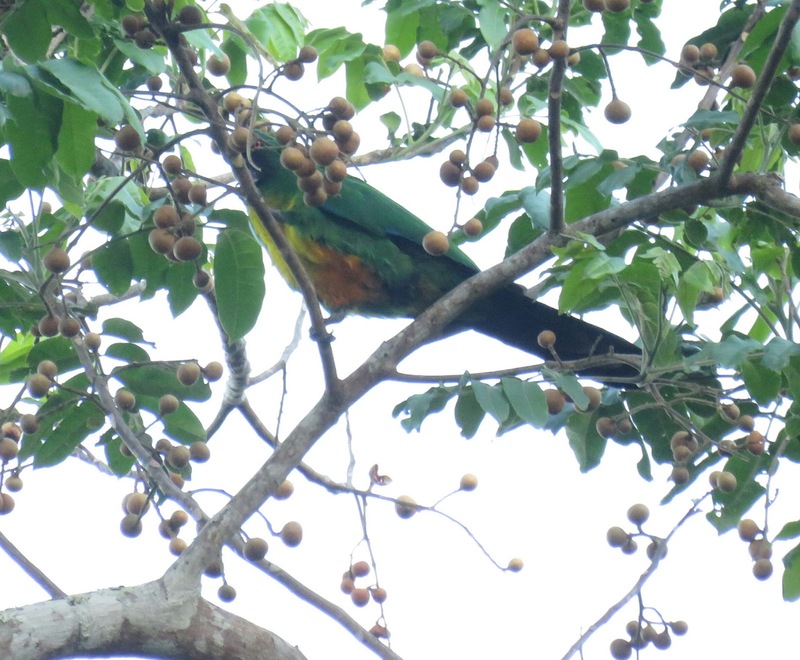 We can ID this parrot as Masked Shining Parrot by its large size, blackish head, long tail, bright green color with orange-yellow breast and belly and orange eyes. 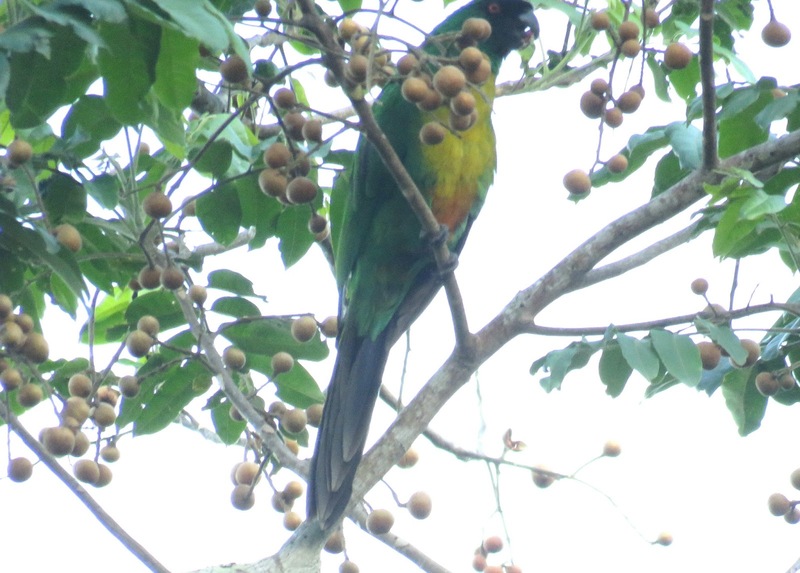 This parrot is endemic to the island of Viti Levu in Fiji. The Masked Shining Parrot is a new species to our Photographic Life List, which now stands at 596.